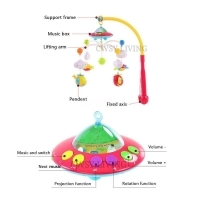 The musical box is equipped with many kinds of sound modes, such as lullaby, dynamic melody, sound of nature and cheerful music, which helps stimulate the baby's auditory development. 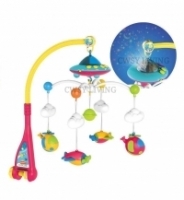 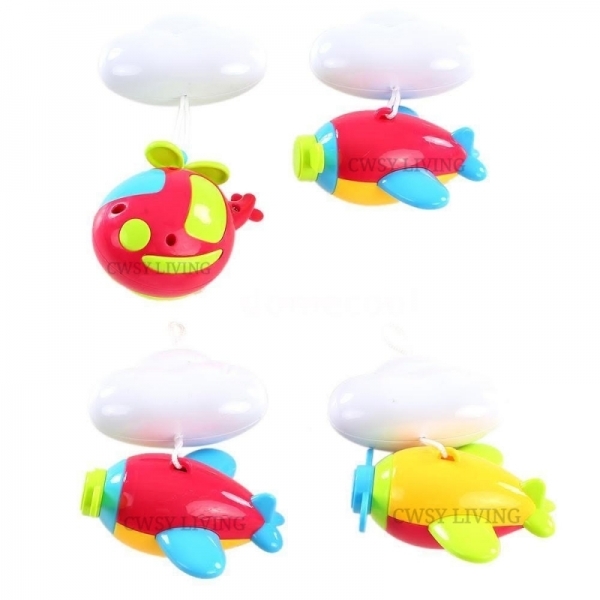 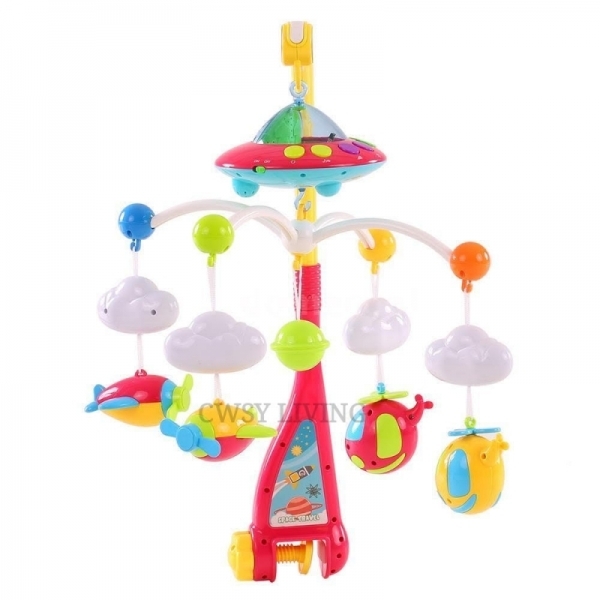 The bed hanging piece is the one your baby can see when opening his eyes, it is especially important for the baby to recognize the new things of different shapes. 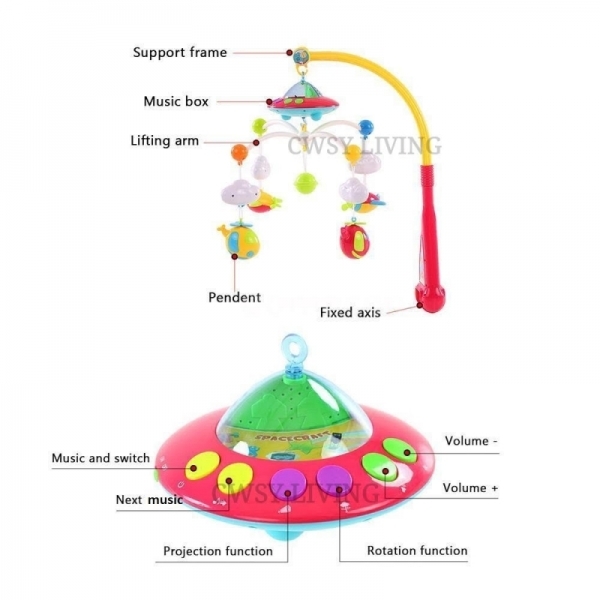 The bed bell is in bright colors, which helps to attract the baby's attention quickly and soothe your baby's mood. The musical box has colorful astral projection light, forming the starry light on the bedroom walls and ceiling. 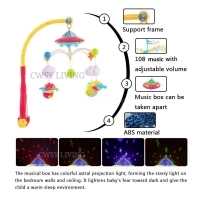 It lightens baby's fear toward dark and give the child a warm sleep environment. 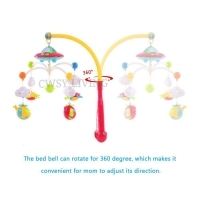 The bed bell can rotate for 360 degree, which makes it convenient for mom to adjust its direction. Polishing and burnishing, a variety of process, the bed bell has smooth surface, it won't hurt babys' skin. The Bed Bell is made of ABS ediable safety material, non-toxic. 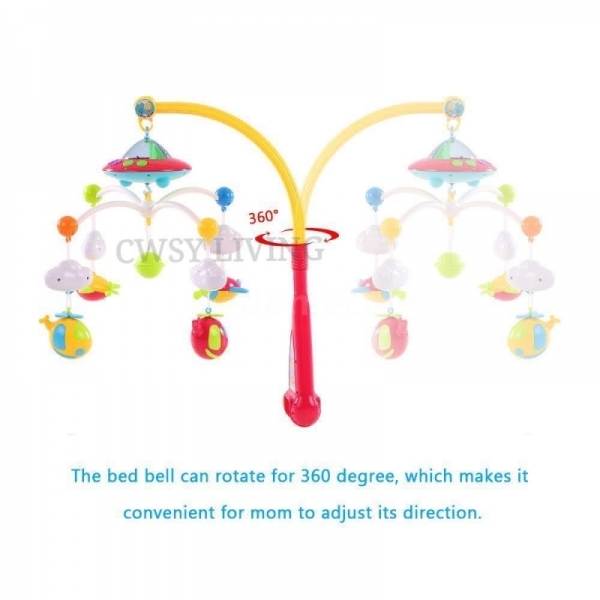 The bed bell can accompany the baby into dreamland.